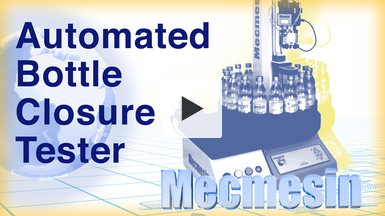 Mecmesin demonstrates an automated bottle closure testing system used to check the performance of bottle capping machines in volume beverage bottle filling plants. 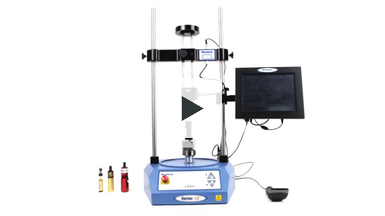 The system can check the correct closure force has been applied by measuring the slip and bridge torque on 18 samples in less than 10 minutes. 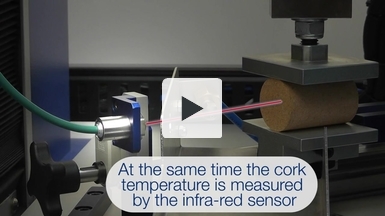 A custom designed automatic test system is used to test closures made from natural cork. Up to 200 samples can be loaded into a carousel for unattended operation, testing overnight if necessary, saves time and money. The system determines each type of cork by initially measuring its diameter, then applying the correct compression test. 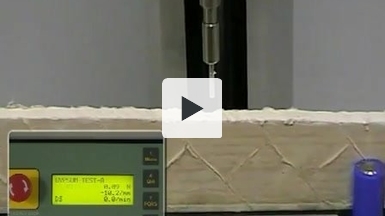 This video shows a Mecmesin automated test system carrying out repetitive penetration tests on plasterboard in order to accurately assess the performance and durability of the gypsum plasterboard products. The use of an automated test system has many benefits including: improved test reproducibility providing consistent and repeatable results; elimination of operator error and increased test throughput reducing costs in time and labour. 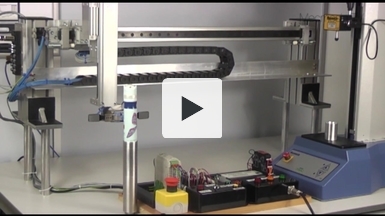 This video shows an automated compression test on tennis balls performed with a MultiTest-i force tester and robotic arm. 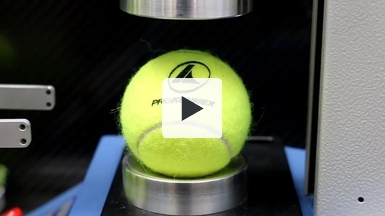 This video shows the automatic testing of tennis balls used in competitions played to International Tennis Federation (ITF) rules. 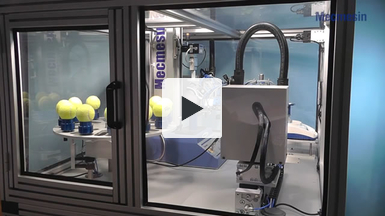 Mecmesin's automated test system can select, position and rotate tennis balls so that they can be tested for compliance to ITF specifications. Testing includes compression and relaxation to check forward and return deformation, ball diameter and ball weight. The system can be left unattended and a comprehensive report generated on completion of up to 12 balls. 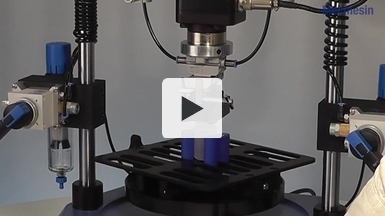 This video outlines a custom designed automatic system used to test the actuation force of touch screens for quality control. 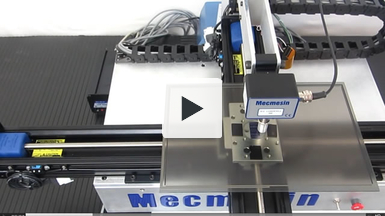 A Mecmesin computer-controlled MultiTest-i force measurement system combined with an x-y table is used to create a "point map" of actuation force at set positions. The x-y table moves the touch screen in a pre-programmed path at sub-millimetre accuracy. At each pre-programmed location the test proble is lowered to "touch-on" the screen and the actuation force is captured as electrical contact is made. The opening torque on containers fitted with child-resistant closures (CRCs) is measured with a semi-automated Vortex-d motorised torque tester with a top-load capability for applying set loads during torque testing. 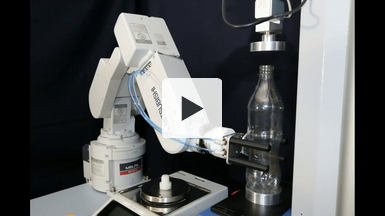 The Vortex-d has been fitted with pneumatic actuators to clamp the bottle cap and raise and lower the top-load weights. The Vortex-d has been superceded by the Vortex-dV.